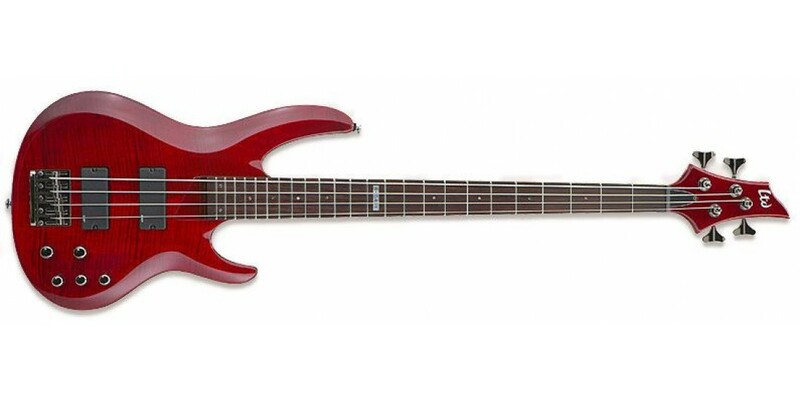 The ESP B-154DX offers a simple yet attractive vibe and a set of high-output pickups that come together for a great value in a bass guitar. 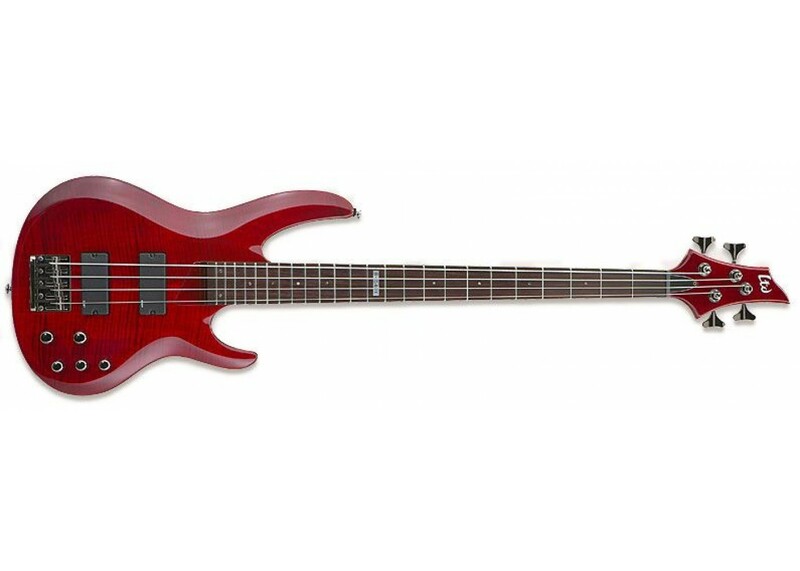 The basswood body has a flame maple top, plus a maple neck and 24-fret rosewood fingerboard. The thin U shape of the neck makes it easy as ever to play. An ESP active 3-band ABQ-3 EQ gives you full control over your tone to work with any style you might play. It also features die-cast tuners, a DB-4 adjustable bridge with string-thru body, and black nickel hardware. Case not included.